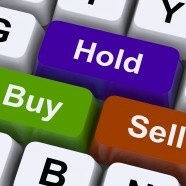 Home » Featured » Why Do People Assume That Trading Makes You Rich? Why Do People Assume That Trading Makes You Rich? Posted by Mark Walas on May 6, 2014 in Featured, Learning to Trade? There are several assumptions that are made almost immediately when people learn that I am involved in the foreign exchange market. The first is that I must be commuting into London Monday to Friday to a high-powered, relentless job. The second is that because I am a trader I am obviously rich. Let’s address the first point first. One of the biggest appeals to me when I began my journey into the forex market was the flexibility. It isn’t like the stock exchange market where there is a physical building dedicated to traders; I think this is what so many people find appealing. You can trade in the forex market in the comfort of your own home and now with smart phones while you are on the go too. This gives people the option to trade on the side of a full-time job or to trade full time wherever you may be. Moving on, it always baffles me that people immediately associate trading with a large sum of money in the bank. In most professions the longer you are there, the more skills associated to your role you develop which increases the amount of money you make. Trading is not dissimilar from that concept, the more you know about the market and the external influences your chances of losing money in trades becomes less and less. I have never viewed trading as a ‘get rich quick scheme’, which I believe many onlookers do. It is about developing skills and then using those skills to ensure that you limit your losses and learn from your experiences. Over time this can lead to a significant income and financial freedom but this does not happen over night. It would be great to hear from other traders on this subject. Do people assume you have an astronomically high income when you mention that you are trading? Please leave a comment or send me a tweet.